Play your favourite live dealer blackjack variants at Guts Casino this week for your chance to win a $5000 cruise vacation. Up until Sunday, July 12 blackjack lovers can finally participate in a promotion without the requisite of those wagering requirements, generally only completed by playing the slots. Additionally, the free spins, cash prizes, and cruise vouchers (yes vouchers is a plural) on offer mean this isn’t just any old promotion either. Let’s talk about the prize pool first. While 50 players don’t win a cruise vacation, the top two do, with 48 other players pocketing cash. All they have to do is land blackjack the most times during the promotional period, so you better get playing if you haven’t started already. Additionally, players can win free spins which are free of wagering requirements by landing certain combinations of cards. These include two Kings (KK of any suit) or two Queens (QQ of any suit). The more hands you have of these combinations the more free spins you receive. The free spins are for the very popular Spinata Grande slot machine by Net Entertainment and are credited to your account the following day. Any winnings are not subjected to wagering requirements and therefore are credited as real cash to your account which you can then withdraw. 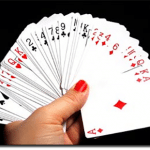 Guts online casino has eight regular live dealer blackjack titles and seven VIP blackjack live dealer titles. The latter offer higher table limits with a minimum bet of $250, so if you have a large bankroll check out the VIP titles. They feature fast gameplay, a pre-decision option where you can act on your hand before it’s your turn at the table, and even side bets such as Perfect Pairs and 21+ 3. Guts online casino have named their blackjack live dealer titles using letters from the alphabet including A to H for the standard live dealer blackjack titles and A to G for the VIP versions, though all the tables of the VIP version aren’t always open. Additionally, some tables including Blackjack A, offer the Bet Behind function. 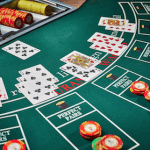 While this is convenient for those who want to still play when the table is full as you can bet on other player’s hands, it doesn’t count towards the promotion because you need to play the actual hands in blackjack to win cash, free spins, or the cruise vouchers. Guts also offers a mobile casino where you can play the live dealer blackjack titles on your smartphone or tablet. Simply follow our links to Guts via your mobile browser, such as Safari, Google Chrome, or Firefox, and scroll down to the ‘Live Casino’ category. Here, you will be able to play any of the live dealer blackjack games and have the chance to win a cruise vacation, free spins, and cash prizes. You can only play live dealer blackjack titles at Guts in real money mode and to participate in the promotion you are going to need to have funds in your account. Guts online casino offers an array of deposit options so you can quickly fund your account and start playing 21. Guts Casino implements modern encryption technology to ensure every deposit is secure and no one can get access to your financial information.